These multi-colored glass beads are fascinatingly carved, colored & polished by our dexterous workers under our expert supervision. These beautifully coloured glass beads are made in large quantities to meet market requirement and are know for there beauty. These beads are sold in mixed to give customer good assortment so that they can use in various purpose and if required can given african look too. 4MM - 16MM Crystal Glass Pave Beads available in 12 Mulch colors. 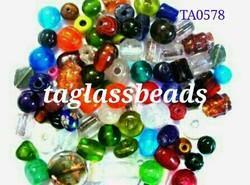 We are leading Manufacturer, Supplier and Wholesaler of Glass Beads. 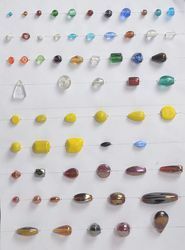 WE ARE MANUFACTURER HIGH CLASS GLASS BEAD NAKLICE. GEMS BEAD NAKLICE. WOODEN BEAD NAKLICE.UNIQUE DESINGH.